We had been hearing rumors about a Bixby-powered smart speaker for many months. And it is here. 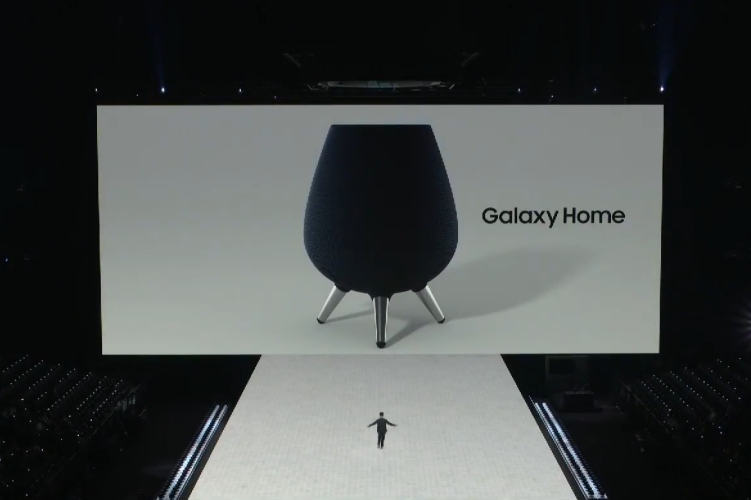 At the Galaxy Unpacked event Samsung surprised everyone with the Bixby-powered Galaxy Home smart speaker. It’s certainly got a unique design which reminds us of a cauldron more than a speaker. That unconventional look will get your guests talking about it. This smart speaker is wrapped in fabric and won’t sit flush with the surface as it comes with 3 metal legs. The music and volume controls are on the flat top of the speaker. This should be enough to tell you that it’s backed by Bixby and comes with the Korean giant’s SmartThing smart home hub in tow. The Galaxy Home will be able to answer all your queries and do as many things as the smart assistant on your Galaxy smartphone. The Galaxy Home speaker is tuned by AKG, and comes with a plethora of features from Samsung’s subsidiary Harman. It comes baked with natural sound processing tech that offers you a fuller, surround sound experience and Soundsteer to detect your location to optimize the listening experience. The Korean giant has currently just taken the wraps off its Bixby-powered Galaxy Home and not shared any major details about the same. 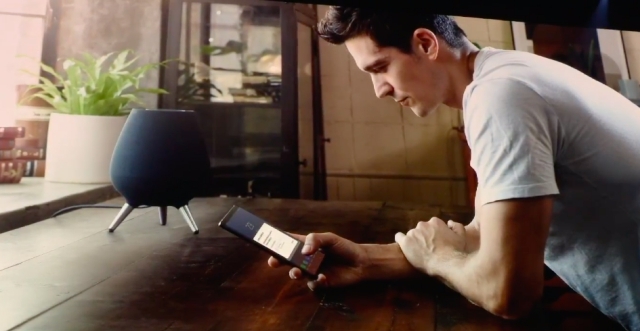 It plans to share more about its smart speaker at its developer conference in November.